No stories tonight. Sorry. Come visit me on Twitter later and perhaps I'll say something worth hearing. 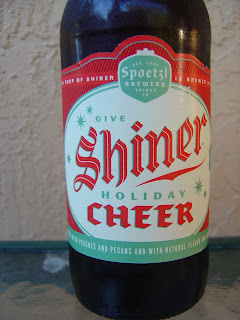 Tonight I'm drinking Shiner Holiday Cheer brewed by the Spoetzl Brewery in Shiner, Texas. If the retailers can start their Christmas blitz already, well so can I! 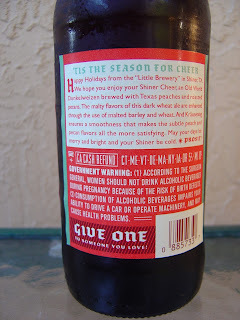 Nice label matching the holidays, greens and reds and holly leaves and cheery. There's a story on the back too. This is a Bavarian-style dark wheat, a Dunkelweizen, brewed with peaches and pecans. "Give One To Someone You Love"! Pecans and sweet tea, very malty aroma. 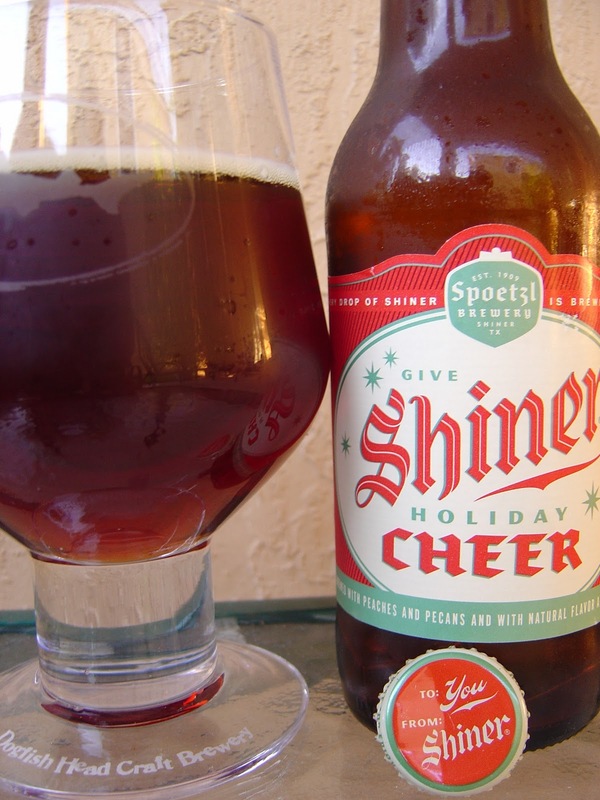 Malty, nutty flavors kick things off. More than slightly sweet. Lots of spices and sugar come next, definitely Christmas baking in a bottle here. Fruity pears and apples and cantaloupes, also sweet, then begin to dominate. Syrupy too. Peaches? Only because they told me so. Now there is some carbonation in this beer. Not a little. A FREAKIN LOT! Aggressive and harsh. 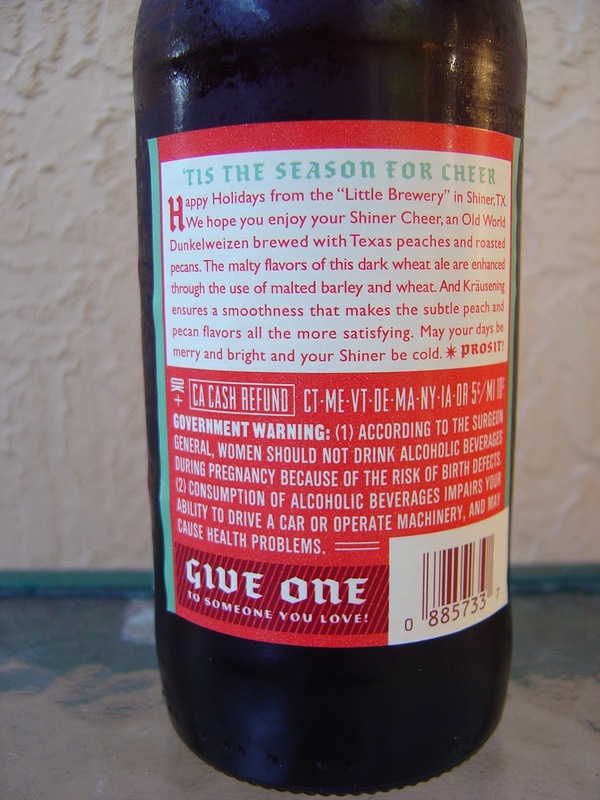 Overall, a little sweet and the carbonation needs to take a chill pill, but a pretty nice beer to try.